Back in the 70’s there was a wave by countries to promote energy savings and energy efficiency driven by economic reasons following a hefty rise in oil prices. Today again there is another wave, and even more vigorous, but this time exerted by environmental considerations. The call is for sustainability, and more specifically to reduce harmful greenhouse gas (GHG) emission urgently to protect the world against climate change. Reducing greenhouse gas emission also goes hand in hand with enhancing our energy security, i.e., reducing dependence on fossil fuel and diversifying energy resources. As global attention increasingly focuses on the environmental impact of economic activities, any unsustainable activity, particularly one that has adverse effects on the environment, is increasingly criticised. Where there exists an opportunity to reduce the negative impact on the environment any disregard of the said opportunity is also criticised as every industry is expected to find and implement ways to address this issue. These environmental considerations are increasing the economic interest in technologies which can bring about efficient energy production and energy usage coupled with low emission. One way to achieve this is by means of an efficient use of biomass, which is a proven way to abate damage to the natural environment by displacing the use of fossil fuel. 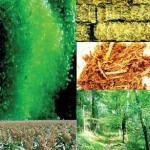 At the same time we must also take note that biomass is a scarce energy resource and therefore it is imperative that not only must we find a way to unleash the energy potential in biomass but find the most efficient use for its energy potential in order to displace the maximum amount of fossil fuel and to reverse the harmful effects of fossil fuel burning on the environment. In this regard, of late, industries are coming under heavy criticism for not fulfilling their corporate social responsibility that is, for not doing more to contribute towards environmental and economic sustainability and the oil palm industry is not spared in this respect. While palm oil extraction and its processing technology are not new, increasing energy savings, by way of harnessing renewable energy in biomass residue, has not been fully exploited. Clearly there is a golden opportunity for the palm oil industry to develop further the technologies of energy production and usage because it is in the enviable position of having access to an abundant source of biomass plus a ready and growing demand for process heating within the palm oil mills and elsewhere to displace the burning of fossil fuel. Therefore there is merit in examining in greater depth on how to harness the renewable energy content in its biomass residue in an optimal manner. On this note, it is commendable that Malaysia has volunteered to contribute toward this urgent international need to abate GHG emissions by setting voluntary targets for GHG emission reduction as its contribution as a nation sensitive to the pressing needs of the international community. How Malaysia can contribute: What can we do to meet our targets for boosting energy savings and diversifying energy sources? On the energy supply side, maximise the usage of renewable energy resources (carbon-neutral energy sources) available, consistent with our geographic location and economics to displace as much as possible the usage of fossil fuels, which is one of the biggest contributors of GHG. Minimise avoidable losses (whether it is heat or electricity) by improving energy generation / conversion efficiency. Abate sources of GHG emission – e.g. methane emission in uncontrolled biomass decomposition. 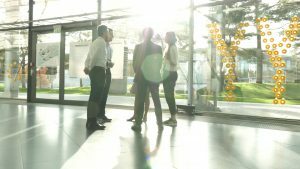 Manage energy demand efficiently, like better use of steam/heat, efficient industrial process design and operation, use of energy efficient motors and variable speed drives, automation, LED lights. What are the Objectives for Using Renewable Energy (Biomass)? The oil palm industry can make a huge contribution towards achieving our goal of sustainability and reducing Malaysia’s GHG emissions economically and rapidly as many avenues are available in palm oil mills that can be exploited towards realising this objective. While this industry has the capacity to generate huge revenues for its operators, its energy plants were designed in an era when the adverse effects of its operations on the environment were not as well understood. 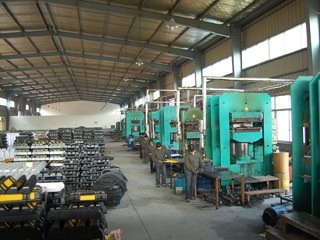 From the energy usage point of view, the present design and operation of the mills are extremely inefficient. This is mainly because of the availability of large amounts of excess biomass fuel from process residue and further because the mills are all dispersed and isolated that it is perceived to have no marketable avenue for the excess energy. This situation has contributed to the very inefficient energy usage of the mills, where energy is considered to be virtually free. Design palm oil mills to operate as centres of energy efficiency, where a 20% cumulative energy savings is easily achievable. This amounts to a staggering savings of an equivalent to burning 700 million litres of industrial fuel oil per year by the general industry where the excess energy can be used. This staggering figure should not be a surprise when we take into consideration the size of the industry. The mills should consider wider usage of efficient boilers, steam turbines, process design and operation, efficient electrical motors, variable speed drives and automation to be energy efficient. 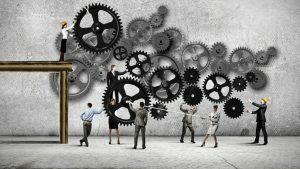 The mill personnel should be prepared for this cultural change (shift in mindset) to achieve this, through campaigns, demonstrations and training. Maximise the export of excess electrical energy to the grid and at the same time liberate the maximum amount of unused biomass fuel for general industries’ heating needs once palm oil mills operate energy efficiently. Suitably treat and package excess biomass at the mills as a valuable by-product which can then be easily transported and burned at the end user site. The national grid will play an important instrument to harvest the excess electrical energy available at the mills distributed throughout the country, the purchase price being determined by public policy. Encourage and motivate general heat consuming industries to use biomass efficiently for their heating needs displacing fossil fuel by providing appropriate rewards. This can be promoted through public policy incentives/ subsidy adjustments. This will motivate larger industries to also embark on combined electricity generation while meeting their primary heating requirements. 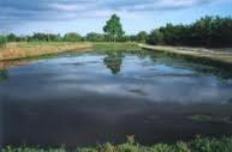 Compel mills to capture the biogas containing methane from the decomposition of palm oil mill liquid effluent (POME) in their holding ponds and utilise its energy potential. The methane, being a lethal GHG is 21 times more destructive to the environment as Carbon Dioxide. This would serve as a huge GHG emission control measure. There have been several other uses propounded for the biomass wastes discharged at the palm oil mills in the past like the use of it as cellulose fibre, bioplastics, fertilizer etc. , however very little commercial use has been made of it to-date. From the perspective of harvesting renewable energy from Mother Nature, utilising biomass has significant differences as compared with other forms of renewable energy like Solar PV, Wind, Hydro-power and Geo-thermal. These latter forms of renewable energies are generally capable of being directly converted as electrical energy for end usage. This is not so in the case of biomass where its energy potential in is chemical or thermal in nature like coal, oil, combustible gas and therefore its exploitation technologies are different. Biomass first needs to be combusted in order to release thermal energy (heat) that can then be used for heating applications and/or the heat is subsequently converted to electro-mechanical energy. When the heat energy is converted to electrical energy only a small fraction (circa 40%) of the heat can be theoretically converted to electro-mechanical energy and this is a limitation by physical laws. To maximise the usage of the biomass energy, use has to be found for the balance of the heat energy that cannot be converted to electrical energy. Typically in a small scale electro-mechanical power generation using biomass, the net electro-mechanical energy conversion efficiency rarely exceeds 18%. In large scale utility electrical power plants the limit is stretched to about 38% to 54% by use of sophisticated technologies. Thus, where the primary objective is to maximise the usage of renewable source of energy to displace fossil fuel with a collateral reduction in Carbon Dioxide emission, the above limiting phenomenon in the conversion of the biomass renewable energy dictates that pure electro-mechanical power generation without the use of the balance of the heat energy must be discouraged. The rational for this is to promote the use of the majority of the heat energy released from the biomass, which is considered carbon-neutral. Because the Combined Heat and Power (CHP) systems can use fuel so efficiently, it is encouraged through public policy and regulatory tools. 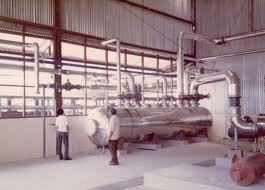 CHP system is viewed primarily as a source of heat, with electricity as a higher valued by-product. The heat output by the CHP system typically displaces an onsite thermal-only system and the power output typically displaces power generated remotely at the utilities and purchased through the Grid. Combined heat and power systems and power recovered from waste biomass energy can represent important contributions to meeting national Energy Efficiency standards and complying with carbon reduction policies. The energy contained in the waste biomass from the palm oil mills can be efficiently utilised to provide the heat and power needs of the mill and the surplus electricity subsequently exported to the grid, such that very little energy is wasted. The ensuing surplus of the biomass can be produced as fuel products for the general industry that are in dire need of heat. The general industry can in turn use the biomass fuel and operate their own combined heat and power systems to supply their heating and power needs, thereby displacing fossil fuel that had previously been used for their heating and electricity generated at the utilities that they purchase from the Grid. From the foregoing utilisation efficiencies, where the primary objective is to optimise the usage of renewable energy to displace fossil fuel with a collateral reduction in Carbon Dioxide emission there from, CHP and Heating usage should be encouraged in that order of priority and usage through pure electro-mechanical power generation should be discouraged. 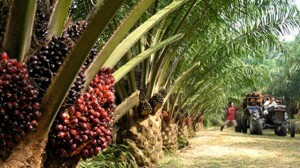 Statistics released by the Malaysian Palm Oil Board (MPOB) indicate that in the year 2010 Malaysia is expected to output 17.8 million tonnes of Crude Palm Oil (CPO) from a harvest of 85 million tonnes of Fresh Fruit Bunches (FFB) from the plantations. There are 435 mills operational in the country processing the annual FFB crop output from the plantations and the processing capacities of these palm oil mills vary from 10 tFFB/h to 80 tFFB/h (tonnes of Fresh Fruit Bunch per hour). Of these, 250 palm oil mills operate at a processing capacity between 30 tFFB/h and 60 tFFB/h and a further 150 mills above 60 tFFB/h. There are only 35 mills that operate below the capacity of 30 tFFB/h. On the basis of the above statistics, the palm oil mills generate solid waste biomass that can yearly contribute a renewable energy resource equivalent to 6,528 ktoe (kilo-tonnes oil equivalent), (in other words energy content in 6,528 million litres of fuel oil). Of the total amount of renewable energy resources, the mills currently consume about 60% for their own use and the remaining 40% is disposed as solid waste biomass. In monetary terms the disposed biomass has energy value of RM 8.12 billion calculated using fuel oil price of RM2.50 per litre. In addition to the solid waste biomass, the mills also discharge liquid biomass in the form of Palm Oil Mill Effluent (POME). The renewable energy resource in this waste is a further 730 ktoe ( = 730 million litres of fuel oil). Palm oil mills use biomass to power itself in the form of Combined Heat and Power usage, albeit, in an inefficient manner. 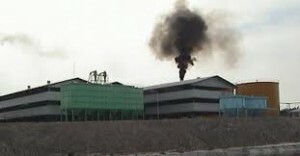 A portion of the solid waste biomass from the mills is used to power the mill processing both in terms of heating and electro-mechanical power. The biomass is combusted in boilers to produce steam. The steam is passed through steam turbine generators that produce electrical energy and the exhaust steam is used for all their heating needs. The heating and electrical energy needs of the palm oil mills consume about slightly more than half the potential energy constituted in the waste biomass. As the mills have excess biomass over their need, the palm oil mills economise on their capital expenditure by employing low-cost low-efficient steam boilers and steam turbines to just about meet their energy requirements. Typically their boiler and steam turbine efficiencies are below 60%. Any higher efficiencies will cause too much of surplus biomass creating a bulky disposal problem. Mills today typically use all their waste fibre and most of palm kernel shells waste for their energy use and dispose off the empty fruit bunches. For the optimum exploitation of the biomass renewable energy, market should exit to use both heat and electrical energy. Commercially marketable use need to be established for the potential energy in the surplus biomass. 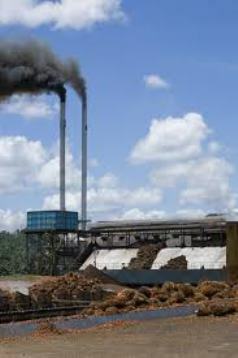 An object of this article is to suggest methodology/technologies towards public policy for such a full exploitation of the renewable energy potential in the palm oil mill waste biomass and thereby enabling avoidance of maximum amount of fossil fuel with its collateral reduction in Carbon Dioxide emission and lay a roadmap for its implementation. On the basis of the above stated oil palm industry statistics for the year 2010 and in order to facilitate our analyses and presentation of the distributed nature of the potential renewable energy available in the mill wastes biomass, it is proposed that we look at the industry of an average of 394 mills each processing at 30 tonnes FFB per hour x 24 hours/day x 300 days per year. Encouraging them to employ efficient power plants with efficient boilers and steam turbine generators. Improve energy efficiency of processes for better utilisation of heat and electrical power, such as to minimise biomass usage and export surplus power to grid. Encouraging them to produce biomass fuel pallets/ briquettes as a marketable by-product using the excess residual biomass for general industry power/heating needs. 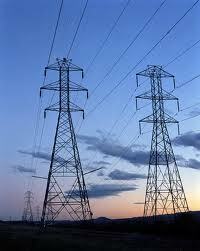 Create a market for the excess electrical energy they produce with national electricity grid co-operation. Create a marketable condition for the biomass fuel pallets/briquettes produced (encourage general industry’s use of biomass fuel for CHP and heating in that order of priority). It is estimated that a renewable energy efficient palm oil mill of 30 tFFB/h capacity will be able to power itself meeting all of its heat and energy needs and still be able to export to grid between 1.2 and 2.5 MW electricity depending on their energy plant efficiency. In addition it will have excess residual waste biomass to produce 70 tonnes per day of marketable biomass fuel (equivalent to 8.2 million litres of fuel oil per year) for general industry use. However, this requires installation of new CHP facilities at existing palm oil mills with grid interconnection. and in total produce 394 x 70 = 27,580 tonnes of biomass fuel per day equivalent to a capacity to displace 3,250 million litres equivalent of fuel oil per year in the general industry. The palm oil mills can further exploit the renewable energy potential in the liquid effluent biomass which is equivalent to a further 72 MWh energy output per day. This evaluates to a further 725 million litres equivalent of fuel oil per year total for the industry. When the general industries fulfil their heating requirements through Combined Heat and Power they will have potential for a capacity of about a further 1000 MW for 7200 hours per year valued at RM 1.5 billion. 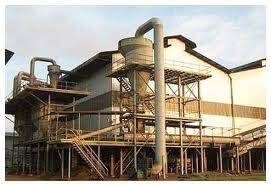 Palm Oil Mill Effluent (POME) is the liquid effluent discharged from the palm oil mills. This is currently treated through biological digester pond/tank treatment to reduce the pollutants to regulatory limits before it is discharged into waterways. However, large quantities of biogas containing methane are emitted into the atmosphere from the biological digester ponds/tanks. The methane thus released to the atmosphere presents special challenge to the environmental protection authorities. Methane is considered to be 21 times lethal on greenhouse effect compared to Carbon Dioxide emission in the atmosphere. A 30 tFFB/h palm oil mill emits methane that is equivalent to about 32,400 tonnes Carbon Dioxide per year (equivalent to yearly burning of 12.0 million litres fuel oil). Thus if the biogas from the POME digestion containing methane is captured for useful purpose, a two way benefit is derived i.e. direct GHG emission reduction to the atmosphere and renewable energy recovery. Further, as methane is a combustible gas, renewable energy is recoverable from the biogas captured and is equivalent to 725 million litres of fuel oil. From the GHG abatement point of view the mere capture of the biogas is more than the renewable energy benefits that could be accrued from the use of the entire solid and liquid biomass residue from the palm oil mill. Thus public policy attention should be directed towards abatement of this source of GHG. If we consider the regional natural forests’ carbon sequestering capacity to be about 3.88 tC/ha/yr, then by implementing the above remedial suggestions for the Oil Palm industry in Malaysia, the annual savings in carbon emission compared to the present operation can compensate substantially for the loss in sequestering capacity of the original forest land displaced by the Oil Palm plantation. This means that the activities of the Oil Palm industry will now positively contribute toward global carbon-neutrality and thereby environmental sustainability in respect of Climate Change. 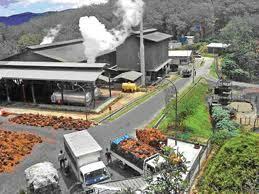 The additional revenue a 30 tFFB/h capacity palm oil mill can make through sales of surplus electricity and biomass fuel pellets is RM 17.5 million and this compares well with the current revenue of RM 10 million through processing charge for an average 30 tFFB/h mill operating at 7200 hours/year. The revenue can be enhanced by a factor of 1.75! 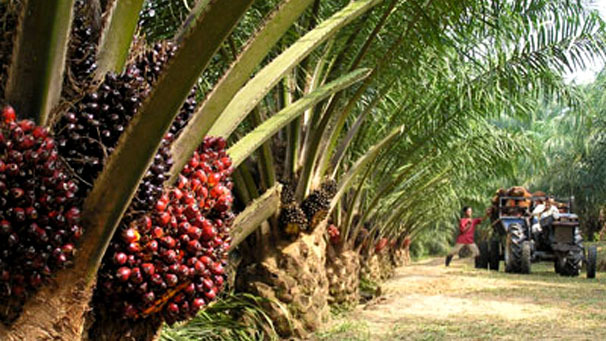 From statistics available for the consumption of petroleum products in Malaysia we estimate that the heating requirement of these general industries is three (3) times that which can be supplied through biomass fuels by the whole oil palm Industry! With the above scale of economics, we should strive to encourage the exploitation of the renewable energy in the oil palm biomass residue. 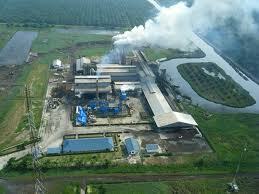 Palm oil mills should be encouraged to be efficient CHP plants. 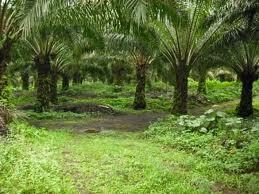 Palm oil mills should be encouraged to produce biomass fuels from their excess residue. CHP technology should be encouraged in the general industry. An appropriate set of public policy and technology assistance, showcase plants would encourage the uptake of ideas propounded herein by both the oil palm industry and general industries to optimise the usage of biomass to bring about the benefits listed in the above paragraph. Where the government is vigorously pushing renewable energy developments, this initiative would provide an immediate jump start as a ready market potential already exists. A meeting of the minds of all stakeholders (KeTTHA, DOE, MPOB, MPOA, TNB) can be a good starting point followed by public consultation to brainstorm the ideas put forth in this article. An idea would be to start off this initiative with the larger plantation companies since they have both upstream and downstream energy activities (i.e. they are both a supplier and consumer of renewable energy). Renewable Energy Bill 2010 Misses the Mark by not setting Efficiency Standards for Harnessing Renewable Energy! We are running some projects abroad. Would be grateful if we get to meet sometime and discuss how we could move forward on zero emission projects. I have a technology of zero emission that is Carbon Capture and produces Hydrogen and Carbonate for any fossil fuels burning plants. If your technology can capture carbon on a commercisl scale you should be a millionaire. May be you should link up with Yayasan Inovasi Malaysia to develop it (BTW, I’m not a part of YIM). Good luck for your venture to clean up teh environment. There is currently no law in Malaysia mandating the methane capture. It is really up to the individual mill to decide. Methane capture involves high capital cost of up RM 6,000,000. Most mills are far away from the National Grid and the cost to connect can be formidable. Therefore, any surplus power cannot be channeled to the National Grid. 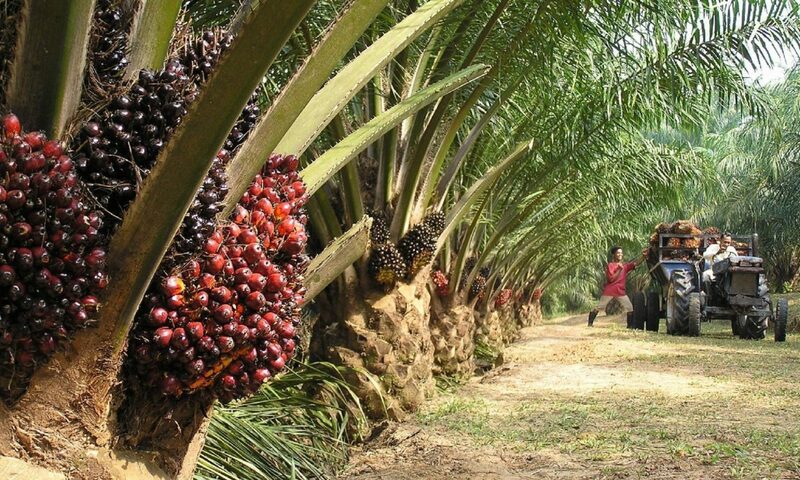 Palm oil millers have suggested that if the Government fund hook-up cost to the national grid and raise power purchase price to 30sen/kWh, the initiative to convert greenhouse gas to electricity for the benefit of neighboring rural communities can be realized more quickly. Currently, utility giant Tenaga Nasional Bhd via its Small Renewable Energy Programme buys renewable energy at 21sen/kWh. The Energy, Green Technology and Water Ministry of Malaysia will explore the possibility of Peninsular Malaysia using renewable natural gas from biogas plants installed at palm oil mills. 1. Methane is converted into electricity and fed into the power grid, owned by Tenaga Nasional Bhd (TNB). 2. Methane can be injected into the national gas pipeline, owned by Gas Malaysia Sdn Bhd. In conclusion, there must be some sort of incentives or legislative requirements or both to compel/encourage millers to construct the biogas capture structure. As long as there is no legislation, mills will adopt a wait and see attitude. In terms of energy usage, we are at a sort of transition stage, where one major fuel source, fossil fuel, is nearing its end mainly due to its deleterious effect in terms of its large effect on global warming. This effect has led to the clamour for the use of renewable energies such as wind, waves, solar, biomass fuel, etc. In hindsight, the bulk of the present day technological advancement has evolved with time and has been geared to the use of fossil fuel. While admittedly, most of the technology (thermodynamic aspects) related to the use of fossil fuel are also common to energy derived from other sources such as wind, waves, solar, biomass, etc., some engineering developments are fuel specific. For example, the technological needs of liquid type fuels are different from those of solid types. Even the technological needs between say, types of liquid fuels are in themselves quite different and mostly viscosity specific. The engineering development in the use of fossil fuel, and others, are as mentioned earlier, evolutionary in nature and time related which in turn is cost related. 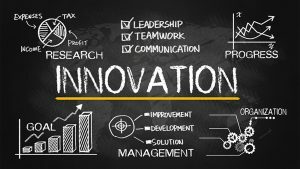 In a chicken or egg first situation, with time, more commerce, engineering development and population increase, more and more energy was required, which in turn increased the cost of fossil fuel which in turn contributed to technological improvements and developments in order to improve efficiency thereby helping to reduce the operational cost. The moot point to be noted is that the fossil fuel era is the first ever cycle of learning curve for humans. With the current level of technology developed for fossil fuels, if we do not take advantage in adapting this existing, off the shelf technology in order to obtain optimum efficiency say for the use of renewable fuels and at a time of relative plenty, which I believe this article is trying to stress, then we can consider ourselves as the proverbial ostrich with its head stuck in mud and the behind facing the writing on the wall. On a more personal note, I believe experienced mechanical, chemical, process, marine, automotive professional engineers, preferably from the private sector, are chosen to carry out studies and advise the Minister. Malaysia is fortunate to have worked on legislation to promote RE through a Renewable Energy Act, with enhanced FiT rates for various technologies. 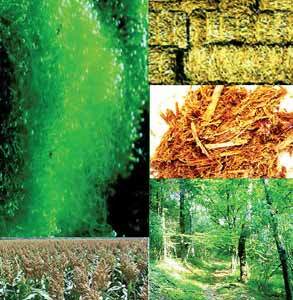 Thus biomass and biogaas fired power generation can be exploited as viable business options. Unfortunately, biomass is becoming an expensive commodity with the various alternative uses that have cropped up reently, so that may influence the potential rate of such RE development. But, biomass power plants may not survive if they need to purchase fuel feedstock (EFB) from palm oil mills that are not part of the RE developer/owner. Let’s see how RE develops now with the granting of attractive FiT rates under the RE act.